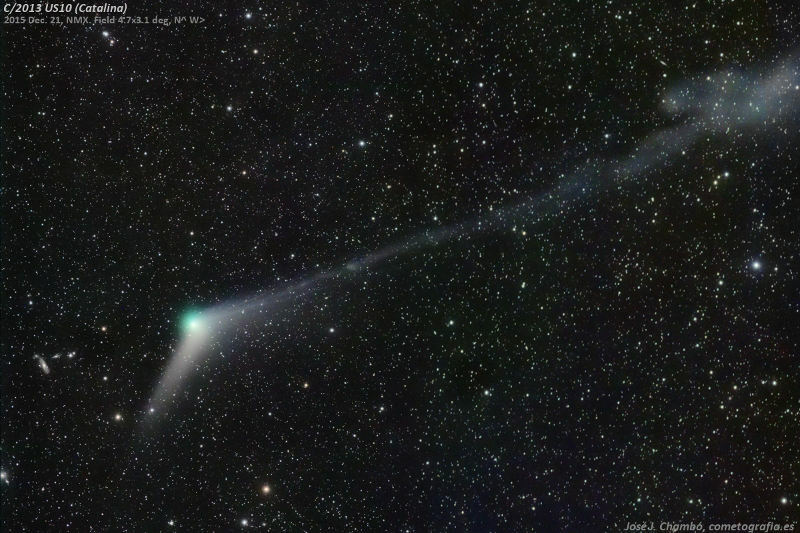 This image of Comet Catalina was taken by Jose Chambo on December 21st, 2015. It shows the Comet Catalina (C/2013 US10) in Earth’s predawn skies and also shows the star Arcturus and the constellation of Virgo. This wonderful sight is brought to us courtesy of the Cassini spacecraft which has been studying Saturn and its satellites over the last decade. Enceladus can be seen above Saturn’s rings while Rhea lies below them in this picture. The tiny Atlas (only 30 kilometers across) is also supposedly captured just to the left of Rhea, expertly hidden within one of Saturn’s rings. 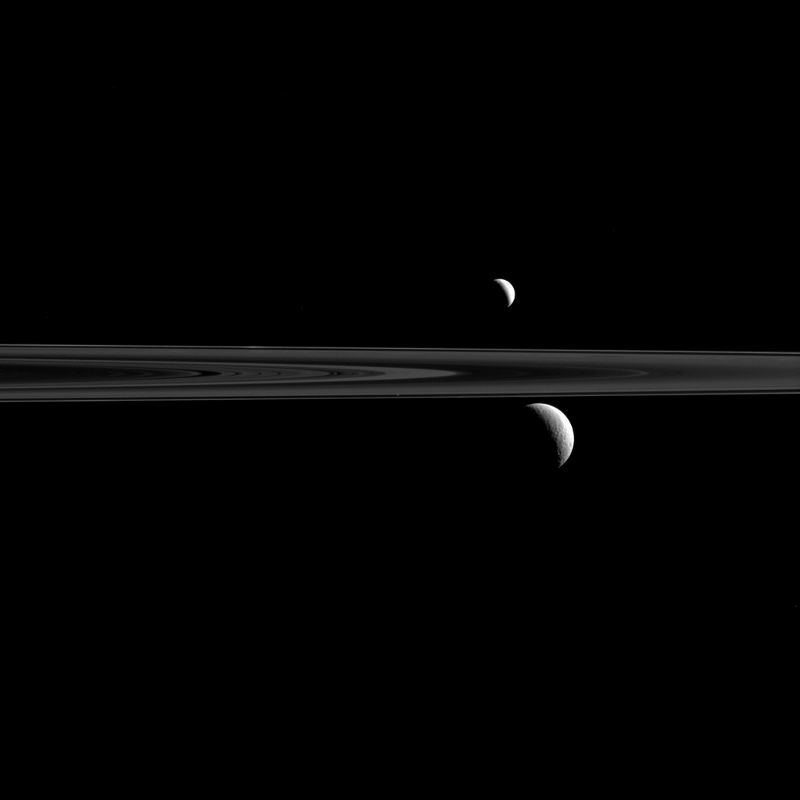 This picture was taken using Cassini’s narrow angle camera/Imaging Science System while at a distance of between 2 million and 2.8 million kilometers from these Saturnian moons. 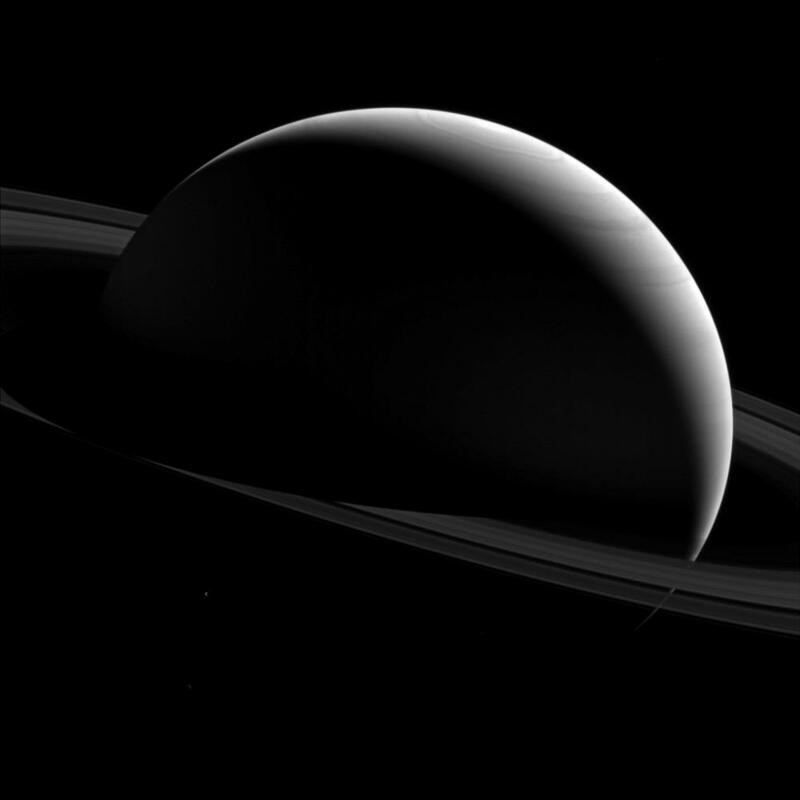 Darkness falls on the night side of massive Saturn and its tiny moon Tethys. Tethys is literally quite tiny as it is just 1,062 kilometers across and in this picture, is just barely seen (thanks to being brightened by NASA in post production) in the lower left quadrant. The Cassini spacecraft took this picture with its wide-angle camera, utilizing a special filter allows near-infrared light wavelengths. It was taken when Cassini was about 2.4 million kilometers from Saturn. These surface chasms on Saturn’s moon Dione are of great interests to scientists. Some parts of the surface are covered by linear features, called chasmata which is in dramatic contrast to the impact craters that one would typically see on planet, satellites and other celestial bodies. 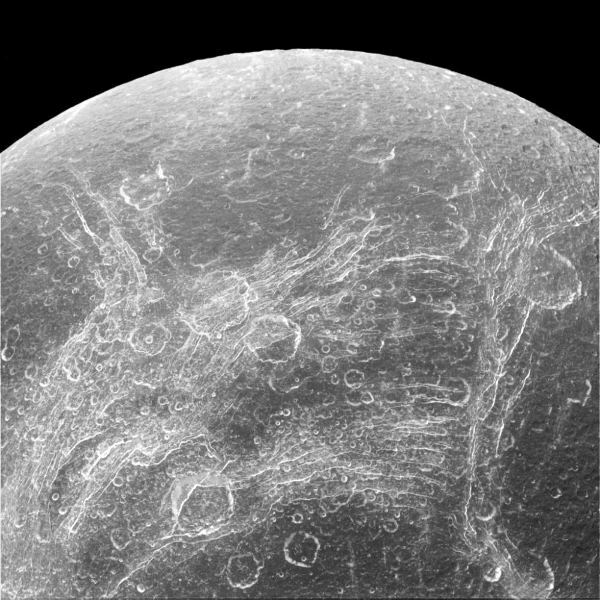 This view from a distance of 110,000 kilometers was taken by Cassini Orbiter’s narrow angle camera with North looking up on Dione. 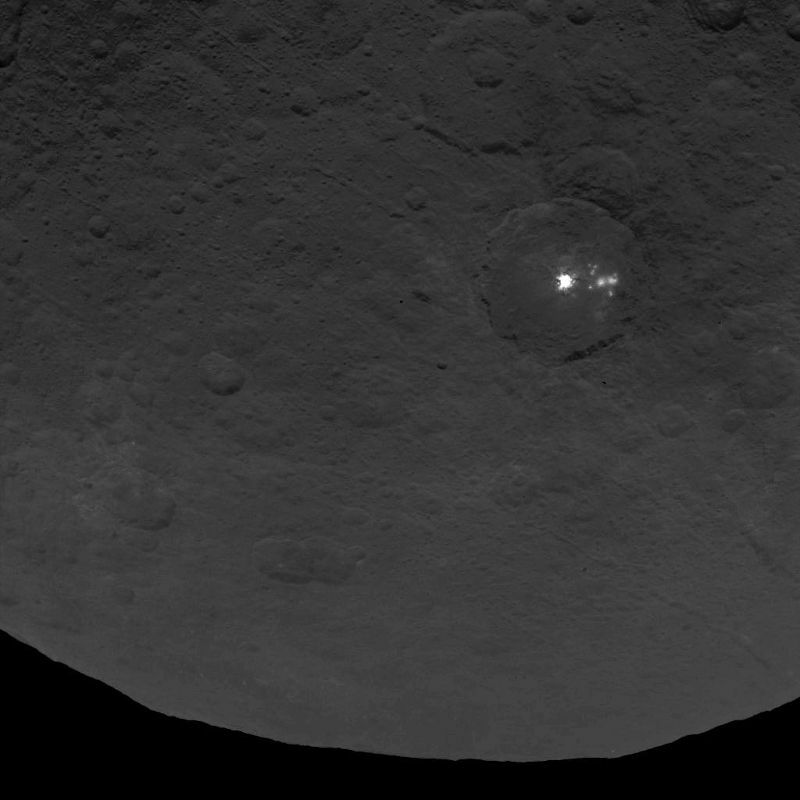 NASA’s Dawn spacecraft captured these bright lights on the dwarf planet Ceres using its framing camera. This picture was taken when Dawn was making a pass of Ceres on June 15, 2015 from a distance of about 4,400 kilometers.